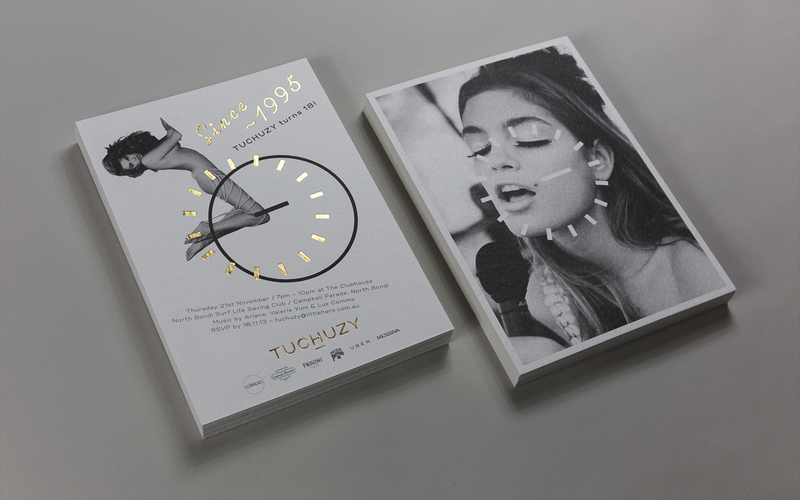 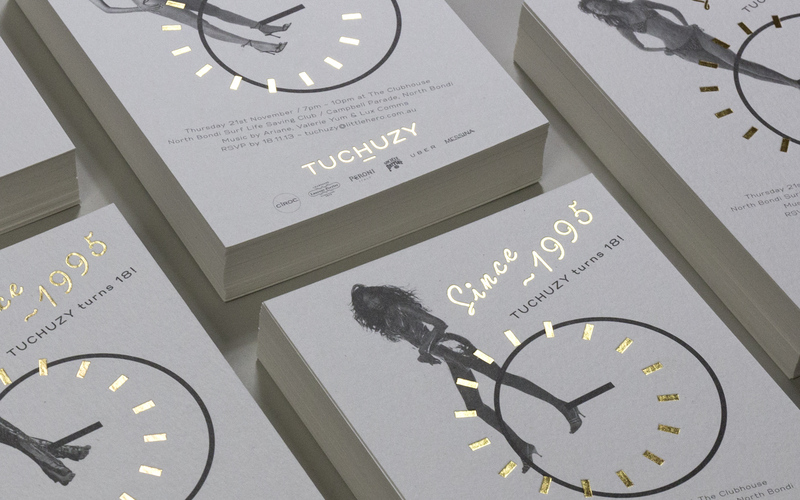 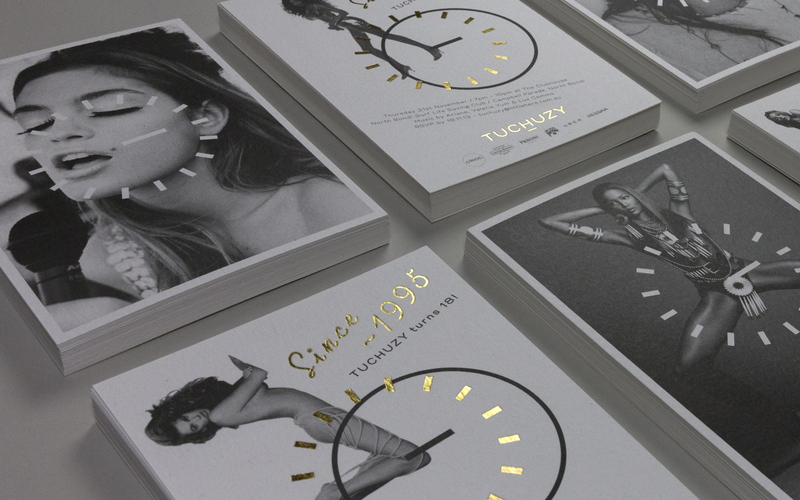 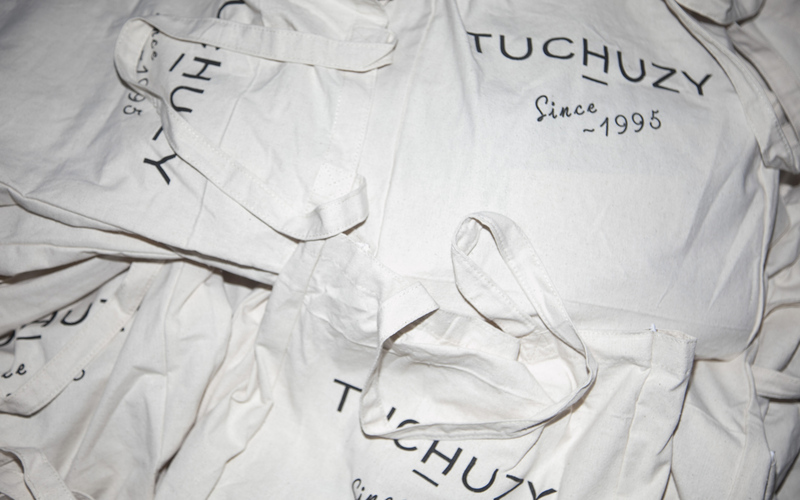 Now in its 18th year, Tuchuzy has maintained its position as one of Australia’s principal fashion retailers and a forerunner of the industry. 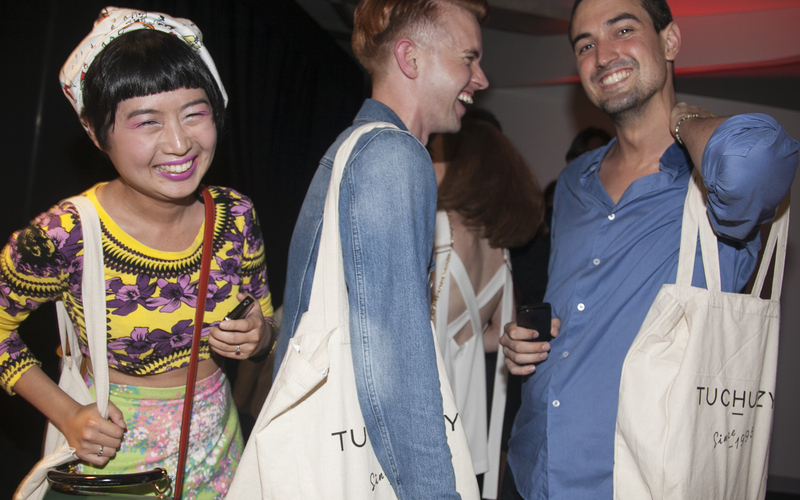 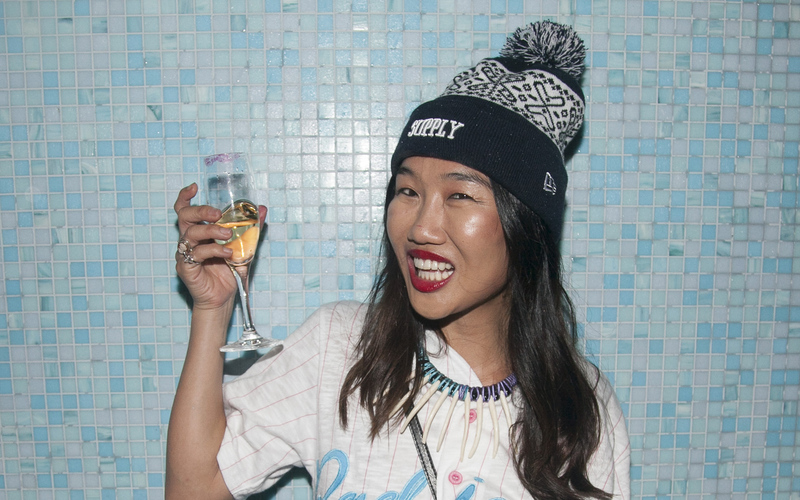 Born in Bondi Beach, the boutique showcases an expertly selected curation of emerging talent and premier brands. 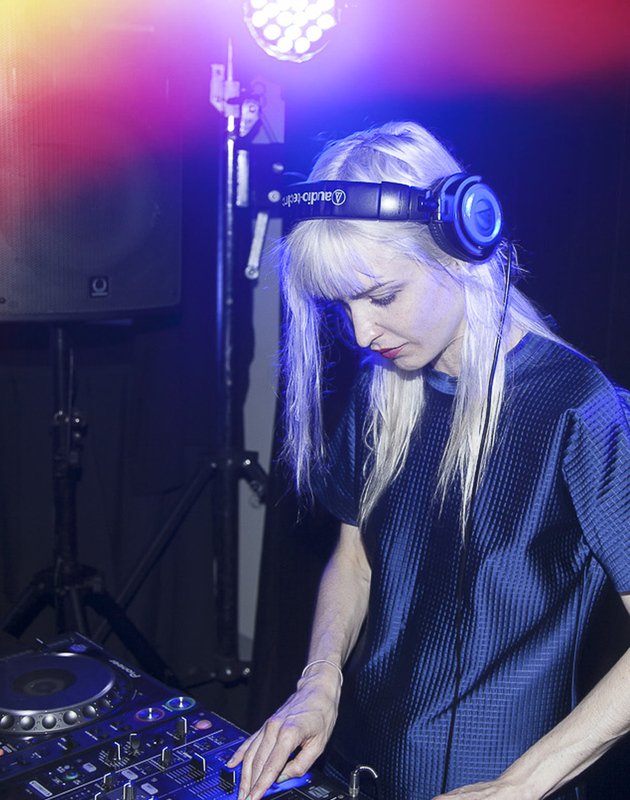 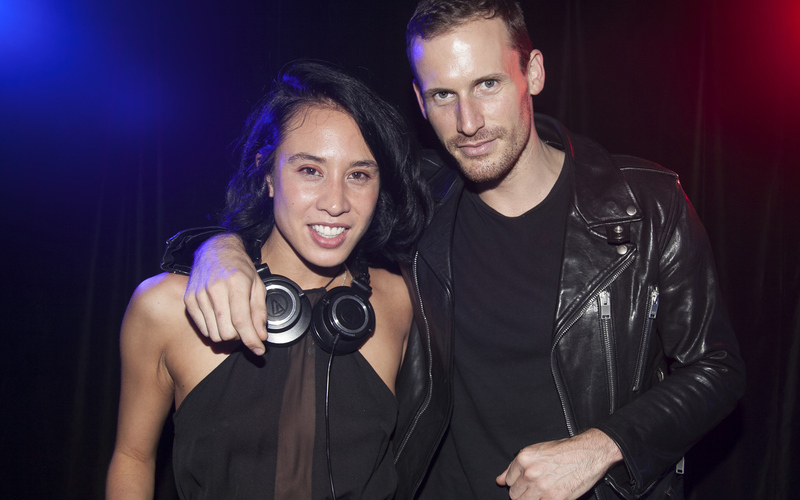 International heavyweights Chloe, Maison Martin Margiela, Helmut Lang, Kenzo, Acne, Rag & Bone and Alexander Wang sit alongside the best of Australian design with Bassike and Dion Lee. 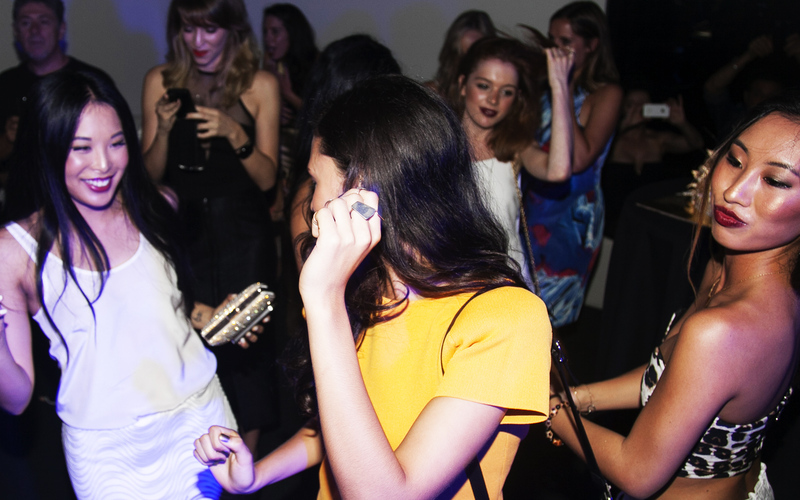 So the store was turning 18 and wanted to party! 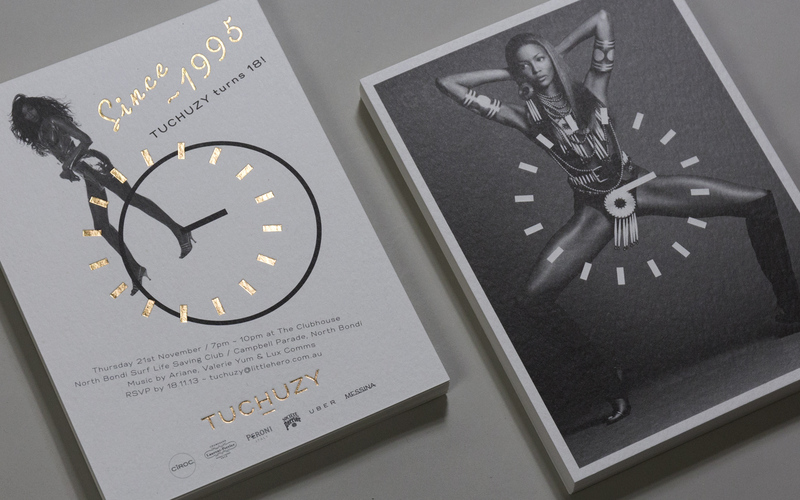 I worked on the event and played on the idea that they began in the 90s, a credible fact considering the resurgence of the decade. 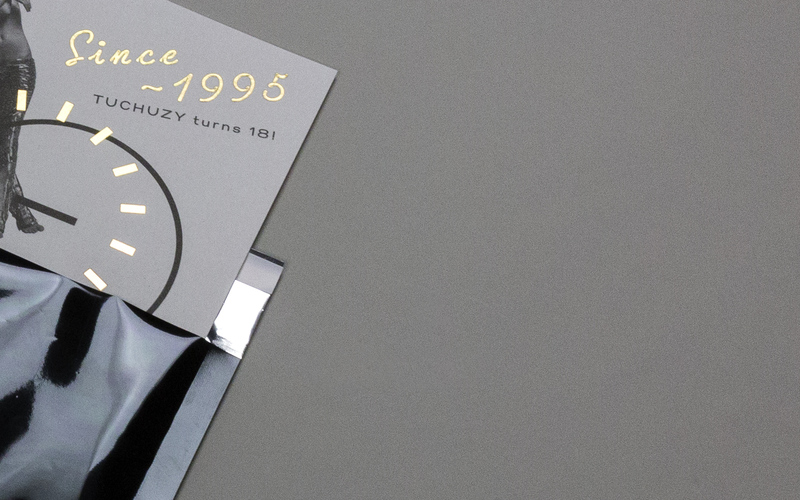 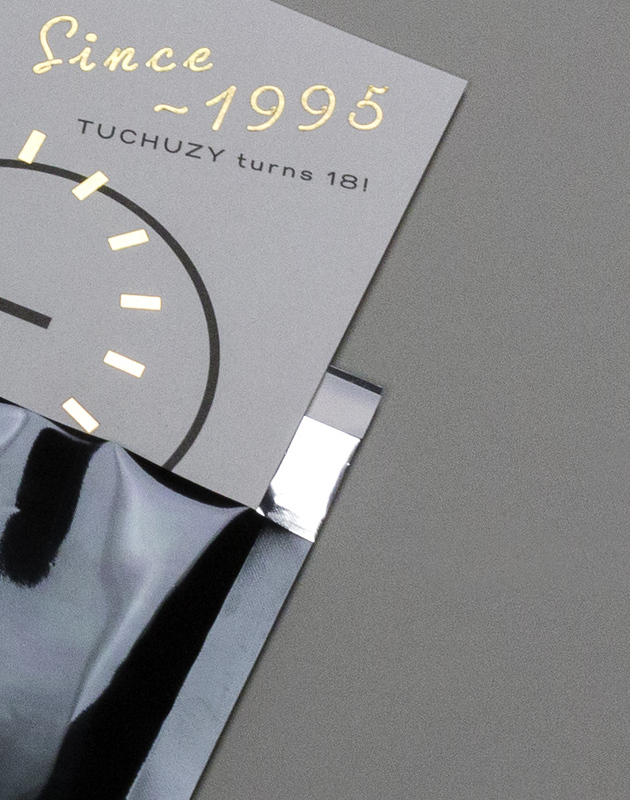 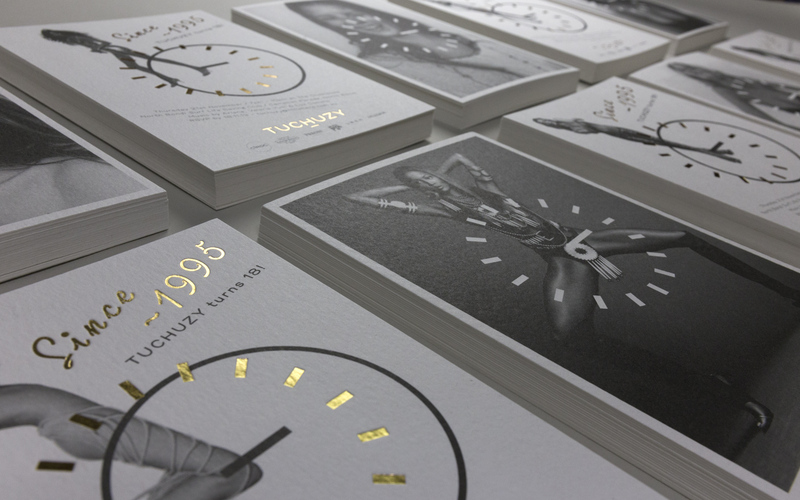 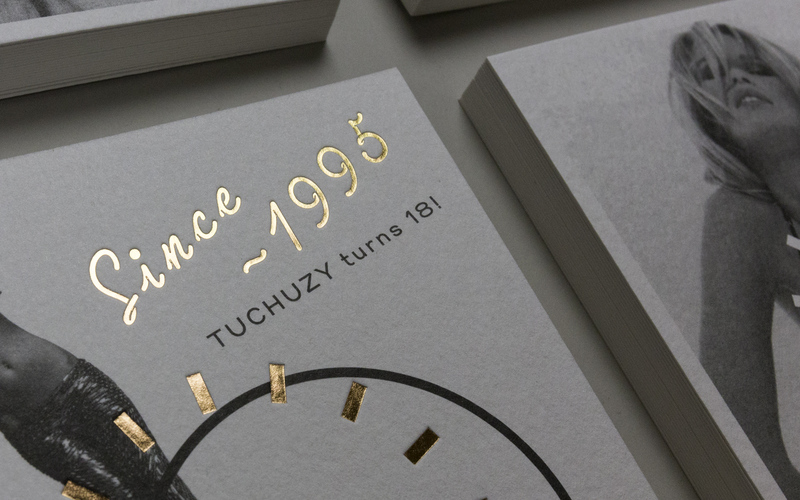 “Since 1995” was born, which then influenced imagery, design style and messaging. 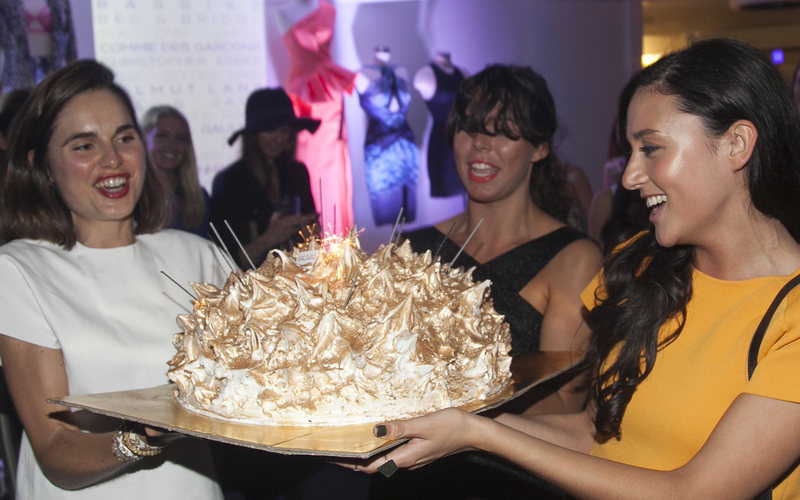 This fun concept paired with black and white imagery, gold foiling and tactile stocks created the ideal balance the event required.